Stork Central had the most liked content! Happy children. Loving parents. Healthy families. Healthy homes. New hope. Openness and honesty. Better choices. Brighter tomorrows. They come from a town known for great German food, so it seems only appropriate that their 10/18 orientation group name was Sausage Smugglers but around the time of WurstFest last year, this childless adoptive couple couldn't have had any idea how soon their lives were about to change, in the most amazing way. 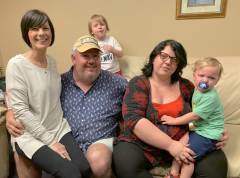 They also couldn't have imagined the struggle another couple was experiencing, not far away, as they contended with an unplanned pregnancy and the reality that it was too soon for the family of the daughter they'd previously placed to adopt again. 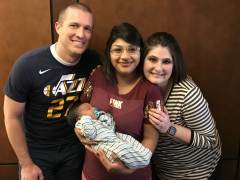 Nonetheless, this birthcouple knew another open adoption was in their coming baby's best interests, so they searched for another Texas family who would commit to an open adoption with them all. 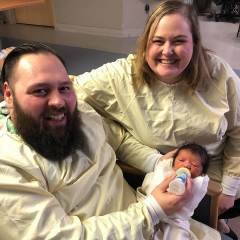 Because of this brave birthcouple, their newborn son was welcomed into the world by three families; that which is his from birth, that which is his by adoption, and that which is his because he has a large extended family eager to embrace him forever, too. May their connections grow strong and prove to be forever lasting, for his sake-- most of all. Sometimes, it's not newborns who most need a loving new home. This was surely the case for two little boys, whose mama called us a month or more, seeking a safe and stable home for her sons. She'd done what she could for them, but she and the boys' dad agreed these kids needed and deserved so much more than either birthparent could give them... and so Abrazo began searching the nation for a suitable home for these little ones. 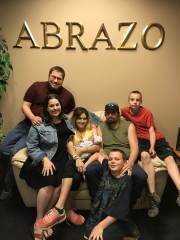 Meanwhile, an Alabama couple with plenty of love to offer had reached out to resources across the country, too, and by the grace of God, they all found each other through Abrazo. We wish these precious boys a lifetime of love-- and the certainty that their forever family truly will be there for them, forever. Blessings, all! Thank you! We are also now seeking homestudy-ready families who would be interested in adopting a four-and-a-half year old Anglo boy. Please submit profiles and homestudies to abyrd@abrazo.org if you'd like to be considered. Two mothers who attend our birthmother supporr group both were contemplating adoption fir their baby boys. Each had two other children they were parenting on their own. Neither found their open adoption plans supported by their families. 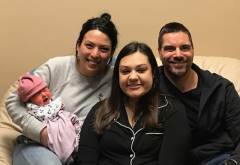 Yet both mothers found the support they were lacking at Abrazo, and both found the right families for their babies in Abrazo’s February 2019 orientation, #CmonTom. And now, both baby boys get to grow up with open adoption stories that can forever surround each of them with truth and light and love. So blessings, all. Your journeys have been entwined in the sweetest of ways, and we can’t wait to watch where each of your futures lead. When a sweet mother in labor first contacted Abrazo a couple months ago, we didn’t know all the complications that lay ahead... but God did, and He surely had greater plans for this precious baby boy. 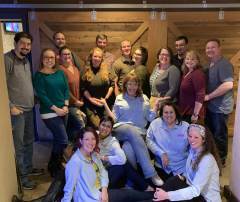 After a national search for parents was launched, the birthmom found her son’s perfect parents in Iowa, and after attending our 2/19 orientation weekend, #CmonTom, plament is now complete! 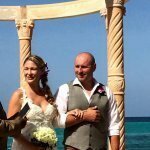 We wish this new forever family much joy in their merged life path... blessings, all. Abrazo is seeking a wonderful adoptive home for a 14-month-old Anglo girl with hydrocephalus who was a preemie. She does have a shunt already, but she's going to need a family with a lot of patience and optimism to help her reach her full potential. Her teen mom loves her dearly, and wants her to have a nurturing family who can provide her more stability, care and developmental guidance than she herself is able to offer. 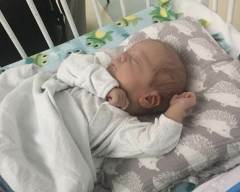 This will be an open adoption through Abrazo's special needs placement program, so infertility is not a required prerequisite for placement in this case. If you know a homestudy-ready family who might be interested, please have them forward their homestudy and adoption profile to our Family Services Coordinator, Amy Byrd (abyrd@abrazo.org.) Thanks, y'all!